True North International – Brand building product strategy consulting. Vast experience in the Footwear, Apparel and Accessories industries leading businesses through start-up, rapid growth and brand recovery. TNI leads organizations through the development and execution id strategies required to achieve brand presence, market share, and margin goals. TNI management has experience with the industies leading brands such as Nike, Tommy Hilfiger, Reebok, Fila, Mossimo, GANT, Land Rover, B.U.M. Equipment, Alpha Industries, Kickers, Aennis Eunis, Craftsman and EFX. Brand building product strategy consulting. Vast experience in the Footwear, Apparel and Accessories industries leading businesses through start-up, rapid growth and brand recovery. TNI leads organizations through the development and execution id strategies required to achieve brand presence, market share, and margin goals. TNI management has experience with the industies leading brands such as Nike, Tommy Hilfiger, Reebok, Fila, Mossimo, GANT, Land Rover, B.U.M. Equipment, Alpha Industries, Kickers, Aennis Eunis, Craftsman and EFX. Brand building product strategy consulting. Vast experience in the Footwear, Apparel and Accessories industries leading businesses through start-up, rapid growth and brand recovery. TNI leads organizations through the development and execution id strategies required to achieve brand presence, market share, and margin goals. TNI management has experience with the industries leading brands such as Nike, Tommy Hilfiger, Reebok, Fila, Mossimo, GANT, Land Rover, B.U.M. Equipment, Alpha Industries, Kickers, Aennis Eunis, Craftsman and EFX. 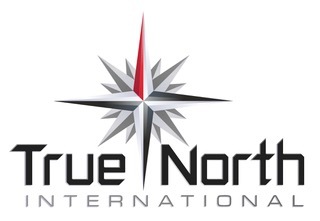 Please contact mark@truenorthinternational.com for more information.